How Is God 'One'? Who was Jesus of Nazareth? — a mere man, or much more? What was the significance of His death and resurrection? The Bible reveals we have a future with our loving Creator, that can start today. He invites you to know Him personally now. How is God one? Is God a trinity? Who was Jesus of Nazareth? Was He a mere man, or much more? What was the significance of His death and resurrection? The Scriptures reveal God in terms of a family relationship - God the Father and Jesus the Son are together the God family! The awesome glory of God the Father and Jesus Christ far exceed anything we can even imagine. Realising this should lead us to a profound sense of wonder and humility! 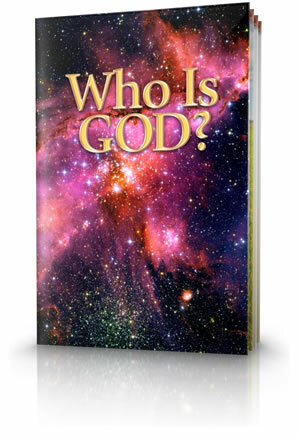 Has God always existed? If not, who created God? Is God one person, two or three? What did Jesus reveal to us about the nature of God when He continually referred to a being He called the Father? The answers will become evident as we progress through the Scriptures. Many do not fully comprehend how the Bible uses numbers. This factor contributes to considerable confusion about God. How should we understand the oneness of God? It is clear that God is a plurality of beings — a plurality in unity. In other words, God the Father and Jesus the Son form a family perfectly united as one. While Jesus was human in the fullest sense, He was also more than simply human—for He was, in fact, the divine Son of God with all that name implies. Indeed, as we have seen, He was the Creator God made flesh. And when His human life was over, He returned to the divine glory He shared with the Father from eternity past. Jesus was sent from the Father and returned to Him, where He now sits in glory and majesty. To understand Melchizedek's identity, we must let the Bible interpret the Bible. The biblical testimony is plain, Jesus was certainly a Jew. The Bible is full of often-overlooked keys that can resolve many of our misunderstandings about God and His Word. In reading the Scriptures, one may vaguely sense these things but somehow never clearly see them because of misleading misconceptions about Scripture. What Does Christ's Resurrection Teach Us? Christ's resurrection to eternal life was to a glorified spirit body (Philippians 3:21), of the same divine essence as the Father. Yet Christ's resurrection appearances took a wonderful variety of forms. The Gospel accounts show us that no one recognised Him unless He wanted them to. What about the Trinity? Many millions believe that God consists of three distinct persons or entities—the Father, Son and Holy Spirit—in one being. How do we choose between explanations regarding the nature of God? Simply stated, only the Scriptures can give us the true answer. The fact that the word Trinity appears nowhere in the Bible also gives us reason to reflect. What About Matthew 28 verse 19? Matthew 28:19 "Go ye therefore, and teach all nations, baptising them in the name of the Father, and of the Son, and of the Holy Ghost..." is a biblical passage sometimes misunderstood with regard to the Trinity doctrine. The Holy Spirit, from the evidence found in the Bible, is not a person in a supposed Trinity. The Holy Spirit is the very nature, presence and expression of God's power actively working in His servants. The image of God is what makes man unique among all His physical creation. This is what renders men, women and children truly human. 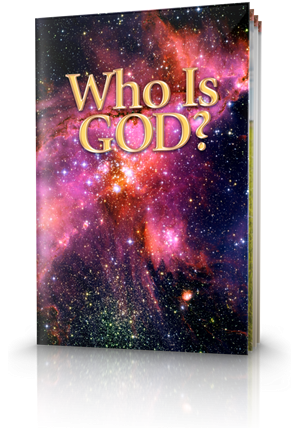 How God relates to His human creation and what He want us to achieve spiritually with His help. What is Jesus doing right now? What is one of His most important roles? How is He serving His brothers and sisters on earth?